Are you looking for a way to change up your workouts?! BOOTYCamp! is where it’s at come May and June! Join me and the TEAM for an outdoor workout that’s guaranteed to change your body! Make a commitment, get the RESULTS. You can sign up for BOOTYCamp! May plus June for a total of 16 heart pounding, body changing experiences. To sign up email lacey@laceystonefitness.com. Both Camps are limited to 25 spots, so sign up TODAY to get yours! 1. 8 – BOOT Camp Style Workouts designed to get YOU into your BEST Summer Shape! SWEAT-O-THONS. 2. When? MAY is NOW FULL. The June Camp Begins June 1st and ends June 24th… YOU will meet twice a week for 4 weeks every Tuesday and Thursday from 6.30am-7.30am… Ccoommeee ready to BRING IT! 3. Where? Pier 46, Perry Street and the West Side HWY! 1. Bi-Weekly emails from me to keep you on your toes! 3. The TEAM Meeting on June 12th, where we go over my expert fitness tips and Nutritionist Marissa Lipert,www.nourish-nyc.com, will go over her healthful hints. 4. Marissa will also go over All camper’s Nutritional Notebooks and offer her expert advice for FREE. 5 spots left in JUNE and if you’d like to sign up for July… We can do that starting NOW! BOOTYCamp! May and June will be Lead by ME. I promise to give you everything I have… Let’s make the summer of 2010 something special together. I’m looking forward to whipping your BOOTY! I can feel it in the air… The seasons are a changing! March into the gym this month and start laying the foundation for your summer hottness. A great body is like a house, you must build it brick by brick. Last month a crazy/extraordinary/magical thing happened to me. I got married… I GOT MARRIED. The entire event was quite overwhelming for me. It’s unbelievable to stand in front of a group of people you admire and respect to profess your love for someone else. A lot of people have asked me why I have an online show about love and life’s relationships when my obvious career passion is fitness? People say: “Why do you waste your time doing that?” I don’t think it’s a waste of time at all… I believe beyond a shadow of a doubt that whom we love and what we do in our spare time does impact our fitness and our lives. I believe 100% that everything is connected. That if you’re happy in your love life, in your relationships, with your job, then your body will easily follow. That’s why I always share the balance with you. I want you to see that having a great body isn’t just about running on the treadmill it’s about being the best version of yourself in all areas… in, and outside of the gym. Please be careful who you surround yourself with because they will have a dramatic effect on your happiness, your success in your life, and your body. For me success isn’t just about dollars signs it’s about how you feel on the inside. If I’m a size 2 and I feel like dodo, does that size 2 really matter? If I’m a millionaire but don’t have anyone to share it with, do those millions really matter? February 28th, 2010 I married Jessica Rose Clark… A woman who has helped me to grow in more ways than I can even express. 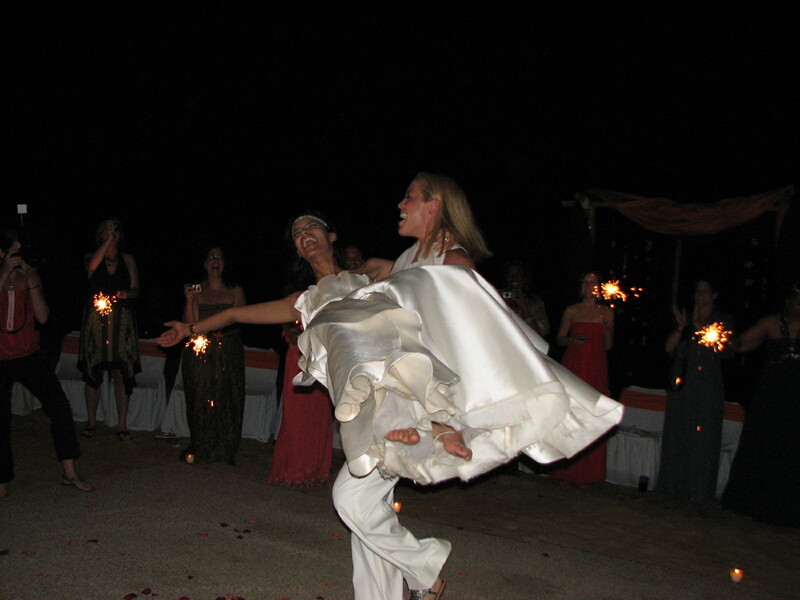 I married her in front of a group of extraordinary people. People I know will be there for me no matter what. People who had genuine tears rolling down their faces when Jessica and I said I do. Thank you to the people in my life and those of you who have shared a smile with me… It is you who help me to want to BRING IT forever. BOOTYCamp! 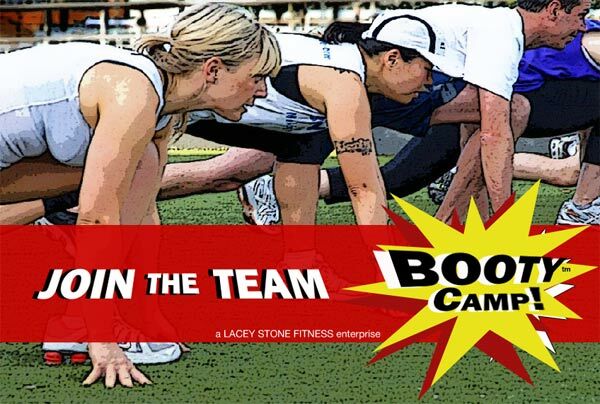 – It’s a coming… New York City’s HOTTEST outdoor summer Bootcamp is back http://www.laceystonefitness.com/camp/index.htm ! 8 AMAZING workouts for You in MAY. We meet every Tuesday & Thursday from 6.30am-7.30am OUTSIDE on the West Side Hwy/West 12th Street. You can early register for May AND June Today! Just Shoot me an email at Lacey@laceystonefitness.com to secure your spot… Space is limited. This Summer is going to ROCK. DOUBLE SATURDAYS – MARCH MADNESS! March 13th and March 20th will be my last two Double Headers. Come sweat it out with me 2 more times in March! Now’s the time try it… I know some of you have done TheBigGAME!, and some of you have just done SPIN! You gotta try the Double just once before it’s gone. BACK-2-BACK babbbyy!!! Take a peak at last month’s highest rated episode: In this episode we discuss the pros and cons on hooking up on the first date. Is too much too soon, or just going with the flow and enjoying life? 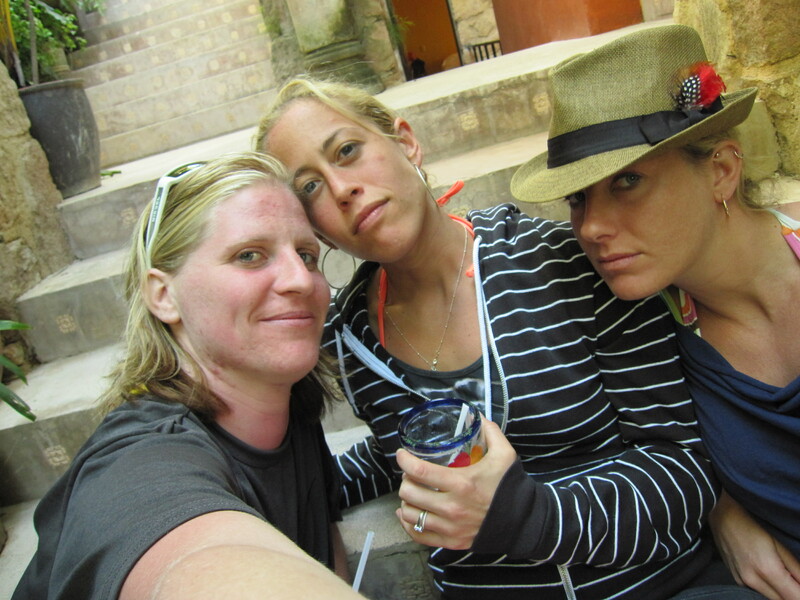 You definitely don’t have to be a lesbo to appreciate this episode… Take a look! You yell, you fight… when it’s healthy in a relationship and when it’s a sign of too much conflict. Lacey and Jessica share their thoughts on this sometimes touchy subject.